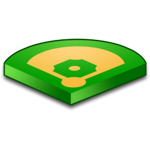 SPYB uses the StatusMe field status notification system to update parents and coaches of field status changes. With this system you will be able to get a text message or email alerting you that the status of the fields you child plays on changes. There is no cost to join but standard text messaging rates do apply if you set up a text alert. To sign up please go to www.statusme.com and click on JOIN NOW. Once you have entered all of your information you will be taken to a few screens to verify information and then you will be asked to select a club. You will need to select ALABAMA- HOOVER ATHLETIC ASSOCIATION-HOOVER ATHLETICS. When you click on NEXT you will see the fields and you can join the fields that you would like to be alerted on. If you have any questions about StatusMe please contact Jay Bradford.